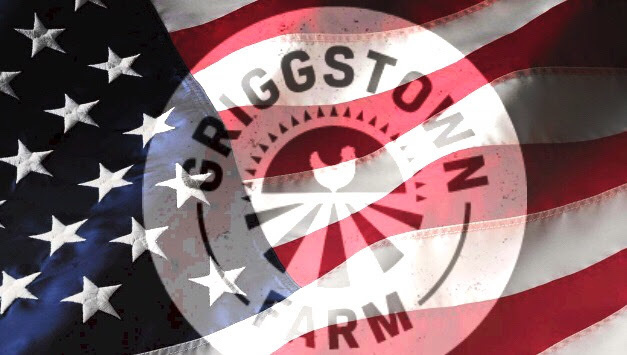 From the whole Griggstown Farm family, we wish you a very happy Memorial Day. We’re proud to be free with you, and proudest of the brave men and women who gave the ultimate sacrifice to make sure we’re free together. Enjoy your holiday, folks. No updates to report, except the store is open until 3pm. We’ll see you next week. Be safe. Welcome to our newest section of the newsletter! Every week, we will be listing the produce that is currently in season. This will help you plan your shopping lists for the freshest and highest quality produce… for the best price! Look for these items in our farmer’s market or anywhere else to save some money! Check this section frequently for any in store specials that may coincide! So many delicious and nutritious greens are coming our way at the beginning of their peak! Don’t you love when little pet projects turn into something bigger? That’s story of our Mac and Cheese! 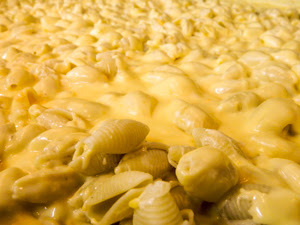 What started off as a small prepared item in our deli case, Griggstown Farm’s Mac and Cheese’s grassroots following helped take this little item, and turned it into being packaged into our flagship Boil-able Prepared Sides. This item is now the basis for new products we’ll be rolling out in the future! Weighing in at almost 2 POUNDS, all you have to do is drop the bag of frozen mac and cheese into boiling water for 20 minutes, and you have the perfect dinner for two, or a side dish for four! If you’re looking for something that goes perfectly with the Mac and Cheese, check out our Rotisserie chickens! To make the brine, in a large bowl, combine the water, salt, basil, coriander seeds, peppercorns, mustard seeds, garlic and bay leaves and stir until the salt dissolves. Use immediately. Place the chicken pieces in a large sealable plastic bag and pour in the brine. Seal the bag closed, squish the brine around the chicken and refrigerate overnight. At least 30 minutes before you plan to begin grilling, remove the chicken from the refrigerator and remove the pieces from the brine. Discard the brine. Rinse the chicken pieces briefly in cold water and pat dry with paper towels. Lightly sprinkle on all sides with pepper and garlic. Meanwhile, make the barbecue sauce: In a saucepan over medium heat, combine the ketchup, mustard, vinegar, brown sugar, broth, a pinch of salt and the pepper and bring to a simmer, stirring to dissolve the sugar. For a Southwest-style sauce, stir in the chilies and cumin. Simmer for 5 minutes for a relatively thin sauce or for 10 to 15 minutes for a thick sauce. Adjust the seasoning with salt. Prepare a grill for indirect grilling over medium heat; the internal grill temperature should be about 350ºF. If using charcoal, bank the lit coals on either side of the grill bed, leaving a strip in the center without heat, and place a drip pan in the center. If using gas, preheat the burners, then turn off 1 or more of the burners to create a cooler zone. Brush and oil the grill grate. Place the chicken pieces on the grill over the direct-heat area and sear, turning once, for 2 minutes per side. Move the chicken pieces to the indirect-heat area, cover the grill and cook for 30 minutes. Now, start brushing the chicken with the barbecue sauce, turning and brushing the pieces every 5 minutes, for about 15 minutes more. The chicken is ready when it is firm to the touch and the juices run clear when a thigh or breast is pierced with a knife tip. Transfer the chicken pieces to a platter and serve immediately. Pass the remaining sauce at the table. Serves 4.